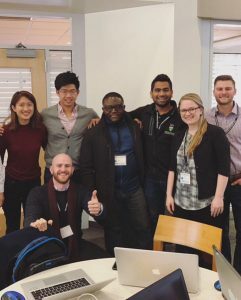 The event was three days long and started with participants pitching healthcare problems that they wanted to solve using artificial intelligence. The remaining participants then gravitated towards projects that were most interesting to them, which led to team formations of all sizes. Teams had 24 hours to complete their design. At the end, each team gave a three minute pitch about their product, and teams were judged on clinical impact, prototype design, business model, and presentation. 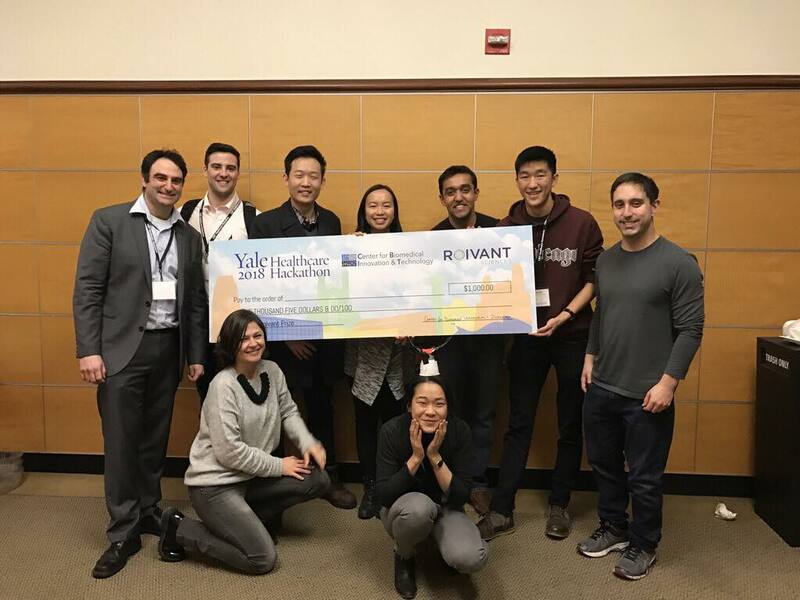 William Doemland (MS1) was part of a nine person team that developed a portable, handheld retinal scanner that can record all of a patient’s vital signs in 5 seconds for home or clinic use. Will’s team was presented with a $1000 award from Roivant Sciences, a biopharmaceutical drug-development company.